About 40 percent of the general population suffers from some form of vein disorder. This occurs in any age group, predominantly in women but also affecting men. Although these veins are not a health threat, they are unsightly and can occur anywhere from the legs, thighs, ankles to the face. Removing unwanted veins is easier than ever with advanced technologies available through Foothill Cosmetic Surgery Center. Our facility uses the unique design and longer wavelengths available with the CoolGlide laser system. This method of treating veins safely and effectively can benefit patients with either superficial face veins or deep leg veins in both men and women of all ethnicities. 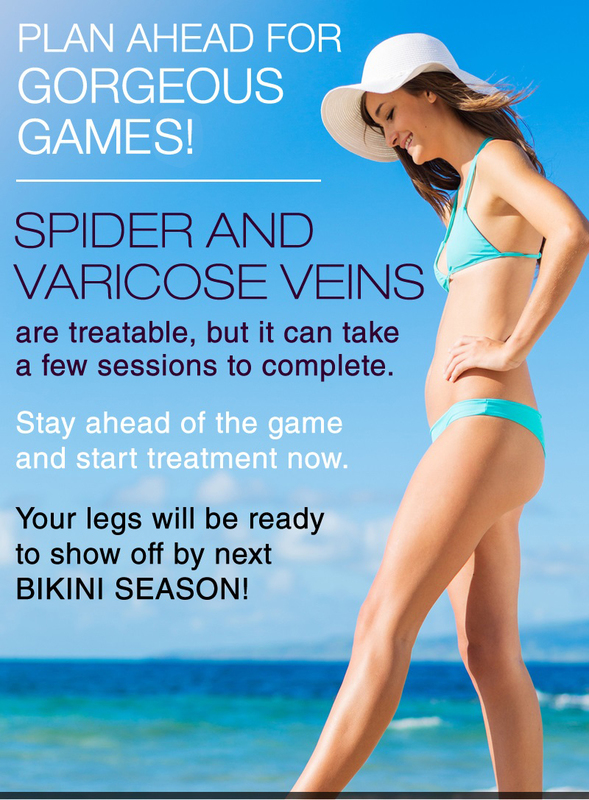 Spider veins, facial veins, and large blue leg veins can be treated effectively with the CoolGlide laser system. A thorough evaluation by an experienced physician will help patients determine if they are appropriate candidates for treatment and develop the best plan of action. The CoolGlide laser system works by delivering pulses of light energy. This causes the blood within the vein to coagulate, destroying the vessel, and allowing it to absorb into the body. The blood will be redirected to a healthier vein, typically deeper below the skin's surface. During the treatment, most patients experience a slight stinging sensation as the energy pulses are delivered through the CoolGlide laser system. No anesthetics are necessary, but some patients may prefer topical numbing for optimum comfort. One to two treatments are necessary for the best results, but this is determined on the size, color, and number of vessels treated. As with most procedures, individual results vary. After treatment, patients may experience some slight redness and bruising. Larger veins might turn tan or brown for a few weeks after treatment, but this will resolve over time. Support hose possibly will be suggested for several weeks after the initial treatment session. Recovery time is short, and most patients can return to their normal activities immediately after treatment. Exercise should be avoided for the first day after treatment, and patients should limit their exposure to sunlight.